Ever been in a situation where you've been wondering how to respond to "I love you"? The question can be heart-stopping in good ways, in bad ways, and in confusing ways. 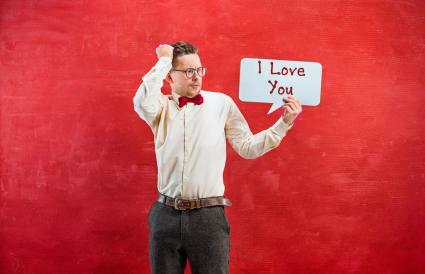 When the pressure's on, here are some tips for replying when someone says "I love you." 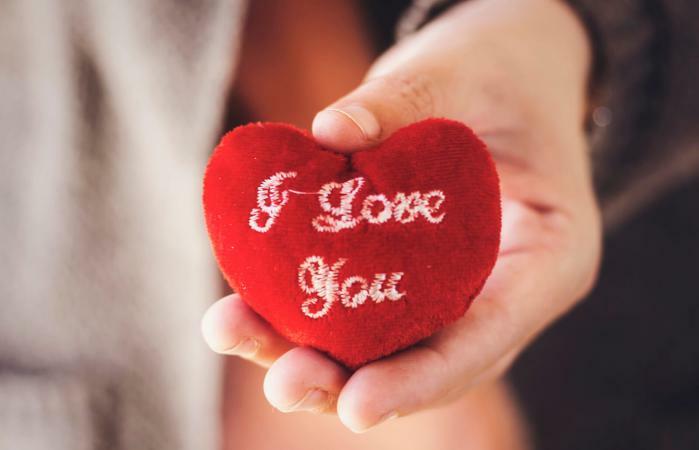 The happiest outcome when you hear these words is to be able to genuinely say "I love you, too" right back. Don't worry if it sounds trite if it's how you genuinely feel. The person put themselves out on a limb for you, and it's your job to support them out there and let them know that you are feeling the same way. This leads to further conversations about what that love looks like in your lives and the beginning of what is hopefully a beautiful new phase in your relationship. Some people have trouble saying these three words because they have said it before and been disappointed. It's important to realize that the past is the past, and this person is not the one you said those words to before. Treat the new relationship with as much respect and attention it deserves even if you have to work a little harder to let go of the past. What I feel for you goes beyond love, I'm wildly attached. My feelings for you are entrenched in passionate adoration. Cute and adorable responses that show you reciprocate their love can help make the moment sweeter. Take the classic kids line "I'm like rubber and you're like glue, whatever you say bounces off me and sticks to you." as an example of how to respond in a cute way that shows you love them too. I have deep affection toward you too. I also care very much for you. They're taking a chance by telling you their feelings, and that deserves some acknowledgment. So, start by thanking them. However, you also need to be very clear that you don't share their feelings. Blunt honesty will almost always be less cruel in the long run, and you need to resist the urge to add qualifiers like "…right now" or "…in exactly that way." A simple statement of is almost always the best response because it's honest. It also lets them begin the healing process of what can be a devastating realization. I'm sorry. I can't say that, because I don't feel that way. I'm flattered, but I honestly don't feel those romantic feelings for you. I appreciate your bravery and compliment, I'm just not on that same level as you. You can respond kindly to the words "I Love you" without saying it back. Sometimes this level of rejection is best said through a note or text message to spare the other person a lot of embarrassment. Quick and painless responses might be, "Thank you, but I don't have the same deep affections." or "That's very sweet, unfortunately, I don't think we're on the same page." It would be nice if love were such a black-and-white situation. The fact is that our feelings are not always so clear, and when someone says "I love you," you may suddenly feel confusion. Love can be scary, but it can also be thrilling. So what do you do when you're not sure? The first part is easy, say "Thank you for telling me how you feel." The second part is easy to know, but not so easy to do, be honest. Express your uncertainty and let them know that you need more time to think about that change in your relationship. They may be eager for a quick decision but remind them and yourself that it's a very important one. It deserves the time it takes to know, one way or another. It may not be an easy process, but in the long run, you'll be glad you took the time to get past the confused emotions. I care about you too, but I need some time to decide if my feelings are as strong as yours. It's really nice to hear that, I'm just not quite ready to say it back yet. I take love very seriously. Please give me some more time to consider a response. I like where we're headed, but I need a little longer to consider the journey before reaching that destination. "Love" is a funny word in the English language. It can mean a lot of things, from your opinion of a TV show to a lifelong commitment and come with a lot of responses including the good, the bad, and the "Huh?" If your best friend says "I love you" after you've done something nice for them, you usually don't have much trouble saying "Love you back!" because there's not a lot attached to the word. It's not always so clear, though, what a person means when they say that. Sometimes it means everything that the romance novels and cinematic love stories portray: this person wants to give you their heart. At that point, figuring out how to respond to "I love you" is going to be a factor of your gut reaction. The one common thread in all three scenarios is honesty. Make sure you tell the other person how you really feel. Telling the truth is the foundation for both friendship and love and holding on to that will help you navigate safely through the sea of emotions no matter where it takes you.